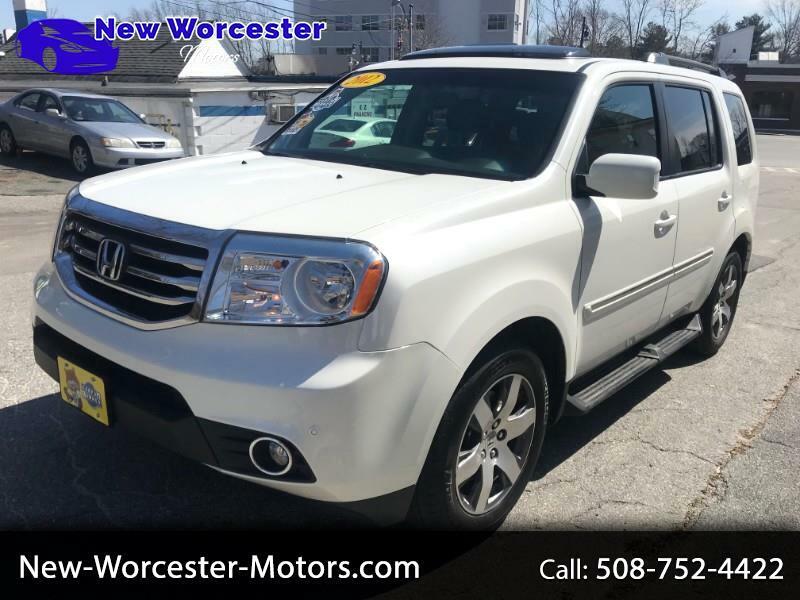 This 2012 Honda Pilot Touring 4WD with DVD has only 85K miles ans is in excellent condition. Its a 1-Owner, Clean CarFax vehicle that has been very well maintained as well. This vehicle is not only one of the most desired colors, it also is equipped with everything you would want in a vehicle. Navigation, Power Tilt/Sliding Sunroof, Rear Entertainment/DVD, Heated Leather Seats, Trailer Package, Aftermarket Remote Start System, Air Conditioning; Power Windows; Power Locks; Power Steering; Tilt Wheel; AM/FM CD/MP3; Satellite; AM/FM CD/DVD; Immobilizer; Key-less Entry; Alarm; Daytime Running Lights; Dual Front Airbags; Side Airbags; Head Airbags; Rear Head Airbags; Active Seat-belts; All Wheel ABS and so much more. This vehicle runs and drives great and is ready for delivery! If your looking for a 7 passenger that will be reliable and also has some style, give us a call to come see and drive this vehicle today! The advertised price does not include any sales tax, vehicle registration fees, finance charges, documentation charges, and any other fees required by law. This disclaimer is to state, that any and all information provided by said dealer is to the best of dealer’s knowledge, to be accurately disclosed. Vehicle histories prior to the ownership of the New Worcester Motors may be inaccurate and New Worcester Motors assumes no responsibility for said inaccuracies, damage, or repairs. Any used vehicles sold at New Worcester Motors will carry the Mass State Lemon Law warranty and the dealer will uphold any obligations required by Massachusetts state regulations. The dealer has three (3) attempts per specific problem to repair any state required issues needing to be addressed. There will also be a $100.00 deductible charge paid by the customer to the dealer for each repaired item unless otherwise agreed to in advance. Anything not agreed to in writing, prior to the sale, will not be repaired/replaced/provided unless required by the Massachusetts State Lemon Law Warranty. We allow all our customers the right to have a third party inspect the vehicle at the customer’s expense prior to purchase for your personal reassurance.